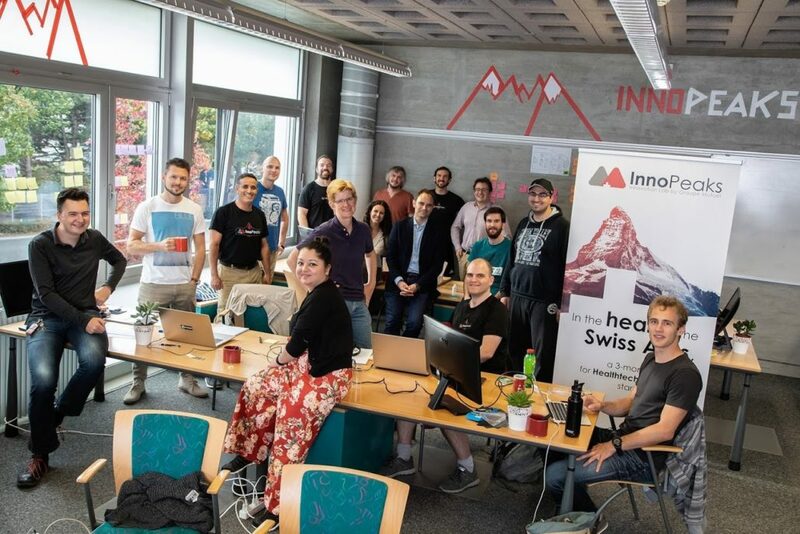 Groupe Mutuel, a leading insurance company in Switzerland, has launched an open innovation platform entirely dedicated to developing start-ups with a focus on Healthtech, Fintech and Insurtech: InnoPeaks – Innovation Lab by Groupe Mutuel. 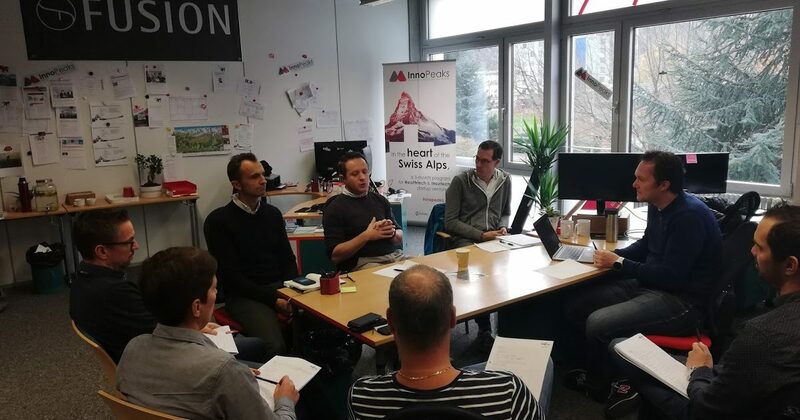 Since 8 October, 11 start-ups from all over the world have taken up residence in the heart of the Swiss Alps where they will stay for three months. Plenty of excitement in store around the accelerator experience! a Swiss funding ecosystem provided by Fusion, and backing from IBM Watson, Amazon AWS and Google. Eleven start-ups from across the world (Russia, the United States and Europe) passed the selection hurdle allowing them to take up residence in Valais, in the heart of the Swiss Alps. Ten start-ups were chosen among the 100 applications submitted to Groupe Mutuel by Fusion. An eleventh start-up joined the ranks after having won an award at the International Create Challenge 3-weeks hackathon that was organised summer 2018 by Idiap. At the end of the accelerator process, on March 14th 2019, the start-ups will present their work during a Demo Day. advAIsor (Switzerland) – reading the meaning and emotional context of emails, in order to inform users if they convey a positive or negative tone. AQrion Medical (Switzerland) – an advanced navigation system and pre-operative planning tool for spine surgeons (NaviSpine). Czam (France) – digital assets and tokens with blockchain technology. Emotion Research Lab (Spain) – recognition of facial emotions and eye tracking to better understand human behaviour. Helpper (Belgium) – connecting persons who would like a home help with available residents in the neighbourhood. Medicus (Austria) – converting health data into a visual experience, with user-friendly information and personalised recommendations. Mendability (United States) – affordable access to specific needs and treatments for families of children with development disabilities. Popit (Finland) – pills connected through a small device and mobile application. The solution provides real-time data on pill consumption. Qapsula (Russia) – a virtual personal assistant to help you manage your health. Access to highly qualified physicians, an extensive knowledge base and a system to prevent illnesses. Swiss Vault Systems (Switzerland) – a patented solution for hospitals, pharmaceutical companies and insurers. This solution makes it easier to manage large amounts of health-related data, at a lower overall cost and with a reduced carbon footprint. Tribe Wearables (Greece) – “Wearables” technology platform for sportswear brands to provide a better fitness experience and improve customer loyalty and sales. https://innopeaks.ch/wp-content/uploads/2019/01/blog1_IMG_0646.jpg 899 1348 AdminIP2018 https://innopeaks.ch/wp-content/uploads/2018/03/LogoInnoPeaks-300x87.png AdminIP20182019-01-11 14:00:442019-01-14 13:13:36InnoPeaks: the first edition is in full swing!